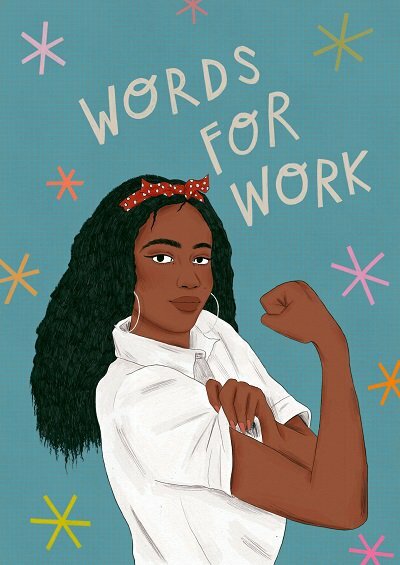 This International Women’s Day, Billie Dunne explains why it is so important to give young women the literacy skills and confidence they need to succeed in the workplace. She also reveals her incredible career journey, from dreams of becoming a vet and an acrobat (at the same time), to working in a bookshop, volunteering in a children’s refuge in Mexico and ultimately becoming our Words for Work Programme Manager. My name is Billie. I work for the National Literacy Trust and I have an incredible job. I run the Words for Work employability programme. How did I get here? Well, at the age of five, I wanted to be a vet or an acrobat. I couldn’t decide which, so I thought there must be some way I could combine the two. I carried a small toy vet pack with me wherever I went, undertaking extensive operations on all of my cuddly toys. At the age of 11, I wanted to be a teacher because that is what I saw every day – my teachers. When I was 16, I didn’t know what I wanted to do at all. I have two very successful older sisters – one is a lawyer and one is an accountant. And then there was me. A little lost. So I felt a lot of pressure. The first job I got was in a bookshop. People would ask me to recommend books to them and my first reaction was to hide in the staff room or behind the desk because I found talking to people so difficult. But my confidence grew every time someone bought a book I had recommended to them in a conversation. When I left school, I took a year out because I couldn’t decide what was next for me. I saved up all my money from working in the bookshop and I boarded a plane to Mexico to volunteer in a children’s refuge. I didn’t speak Spanish, I didn’t really like spicy food and I had never worked with children. But this experience opened my eyes and helped me work out what I wanted to do. I wanted to work with young people and I wanted to leave the world a slightly better place than when I joined it. That became my motivation and the literacy skills I picked up along the way made it possible. Now, aged 25, I run the National Literacy Trust’s Words for Work programme, and I get to help other young people find their voices and develop the literacy skills they need to kick start their own career journeys. Good literacy skills open doors. By literacy, I mean reading, writing, speaking and listening. I can’t think of a single job that doesn’t rely on good literacy skills – whether you’re a tattoo artist, a journalist, a hairdresser, a construction worker or a chef. To tackle this imbalance in employment opportunities for young women, we launched our Words for Work: Women in Leadership programme last year in partnership with Lancôme. The programme helps young women develop the literacy and leadership skills they need for work and aims to broaden career aspirations by giving them the opportunity to visit Lancôme’s offices and hear from a range of inspiring women in work about their journeys to success, the challenges they faced and how they overcame them. If young women don’t see themselves represented in different job roles and sectors, it’s hard to imagine themselves there one day. At a recent event in London, we gave 200 young women students the chance to dream big as they heard from a panel of inspiring women who work across a diverse range of sectors including law, government, journalism, beauty and entertainment. For many students, it was the first time they had ever met a woman who was a lawyer, a comedian or a writer. The opportunities I took a chance on and said yes to ended up forging my career path. What I find incredible is that everyone I meet has a different story to tell. This International Women’s Day, tell us how you got to where you are in your career on Twitter using @literacy_trust.